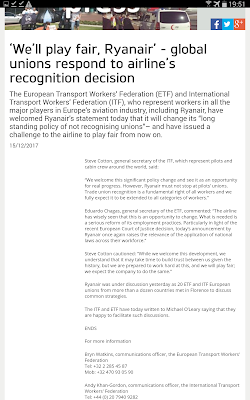 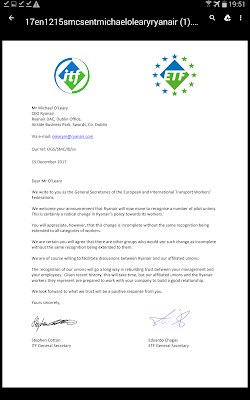 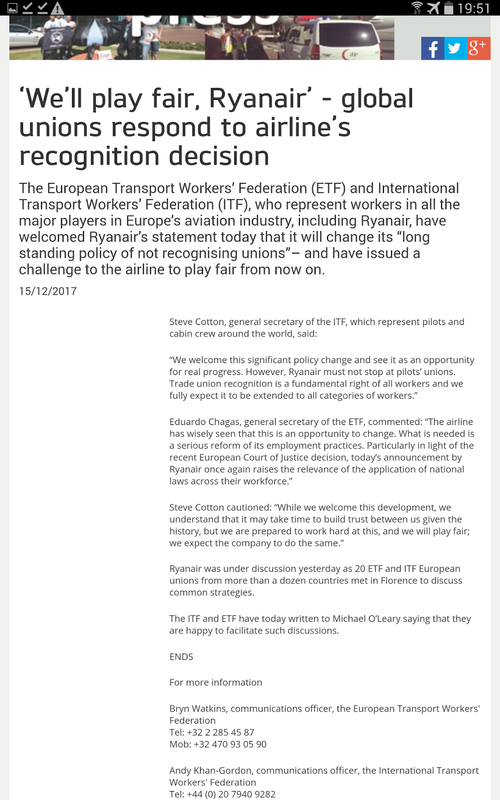 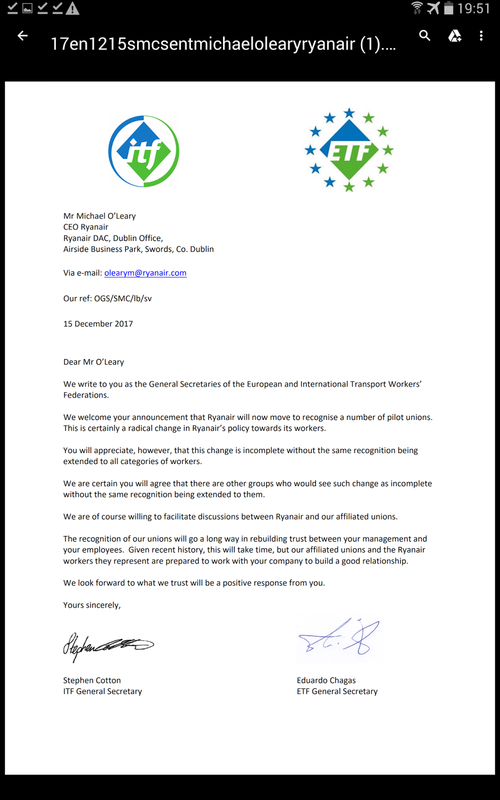 Ryanair Strike...Ryanair could be reconsidering years of being Anti union and wanting to know deal with unions over threatened Pilot Strike this Christmas. 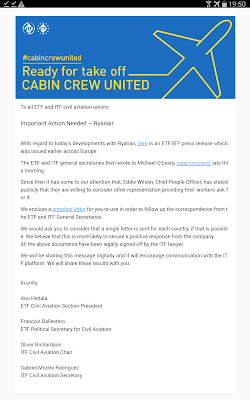 Let us not forget Cabin Crew need a voice to and pilots and cabin crew at Ryanair are as one. Info below regarding Ryanair's change of heart..